Leo and Meg, thank you for joining us. Ayesha, thanks for organizing this. 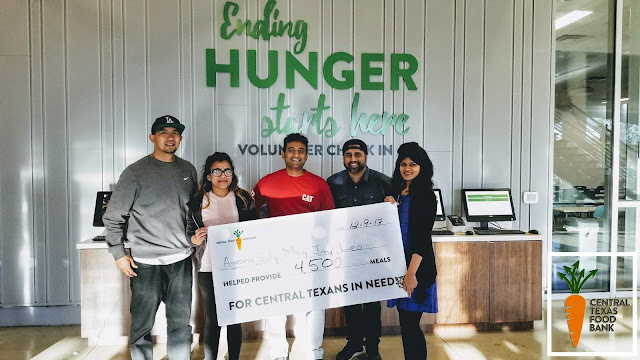 We got together to help at Central Texas Food Bank this past Saturday 12/9/2017. With the help of everyone in our group, we packed over 5,000 pounds of food items to feed the hungry. Thank you everyone for their time and hard work!. of the Food Bank. Click below to learn more on how you can volunteer. Made with #nametags of all 2017 @ctxfoodbank volunteers!